A large contingent of leaders (and emerging leaders) will come together at Journey Church on Friday to attend Inspire. This one-day conference hosted by the Kenosha Area Business Alliance features a wide range of content covering subjects such as business and entrepreneurship, leadership development, inspiration, motivation and community development. The goal is that attendees walk away from the event better equipped, inspired and motivated to do their part to build healthy organizations and a vibrant community. This is KABA’s sixth year hosting this event, and the program’s evolution is notable. 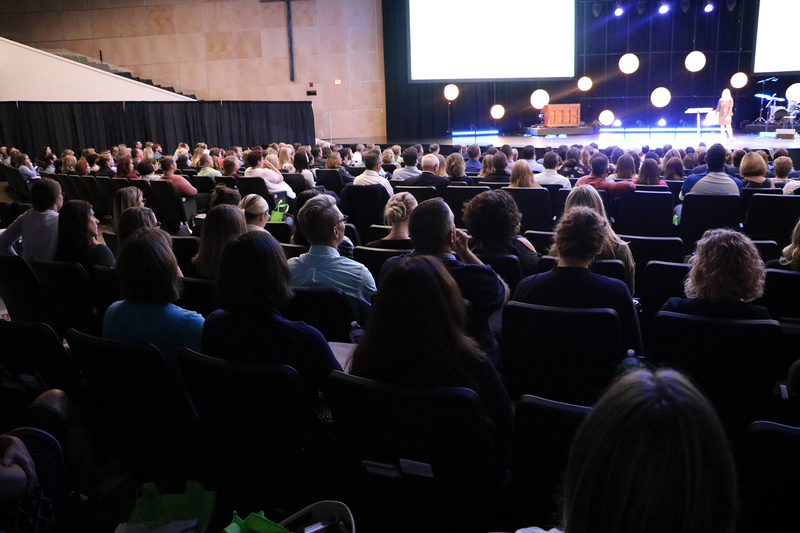 In 2013, approximately 125 attendees gathered in an auditorium and viewed a video feed from an international leadership development conference hosted in Atlanta (the Chik-fil-A LeaderCast). That first program was part of a crawl, walk, run strategy as we introduced and tested the Inspire concept. A quick look at this year’s program makes it clear that this has morphed into something substantially bigger and better. Nearly 600 participants (a 350 percent increase in attendance in five years) will attend this year, and each of the presenters that they will hear from will be live, on stage, at Journey Church. The attendees come from area businesses, schools, social service organizations and local government and represent a variety of organizations: public, private, large, small, for profit and nonprofit. The speaker lineup is excellent and well-rounded. It includes a best-selling business author, a serial entrepreneur, a Paralympic gold medalist, a neuroscientist who teaches marketing and management at one of the best business schools in the country, a home-grown social worker who is having a major impact on at-risk teens, and a group of accomplished leaders from Kenosha’s public school system. Inspire has always been about creating a great experience for leaders, and those aspiring to leadership, in our community. Producing the program locally gives us the opportunity to draw attention to community causes and issues, while also delivering speakers that have national, and in some cases, global platforms. Ultimately, we believe that investments in leadership development yield an incredibly high return for the people and organizations that partake. We know that our community, and the various institutions in it, get better when we help grow the leadership capacity of our people. And better, more inspired leaders running stronger organizations are a great thing for our community and the people who live and work here. 87 percent of employees worldwide are not engaged at work. Inspire offers a fantastic opportunity for leaders to up their games, which translates into more engaged and higher performing teams. Learn more about Inspire at kaba.org/about/inspire.